1. In a large bowel beat in eggs and sugar to blend well using an electric mixer. Add in the vanilla essence, lemon rind and salt. 2. Add flour and beat until combined. Pour the melted butter slowly beating until well blended. 3. Butter and flour the madelein pan. Spoon enough batter into each depression. Bake until puffy and lightly brown at 140 degree C for about 15 minutes. 4. Allow the pan to cool then gently remove the madeleins from the pan. Your fancy french cookies are ready to be savored. 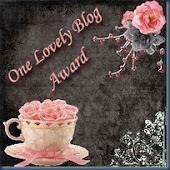 Thank you very much Flor for considering me as one of the hard working Food blogger I am honored. Cookies look beautiful, I never miss to buy it whenever I go to Starbucks! :) Nice click. The cookies look so wonderful and delicious! so bharath gets to binge on ur yummy dishes uh ? 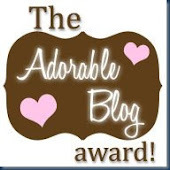 Thank's and glad you accepted this award! Looks so delicious phanitha..Congrats on ur award..
cookies looks wonderful phanitha..you will put few recipes but all are very good ones!! Thank you Priya, 5 star foodie, Flor, Priti, Vrinda and Lavanya..
i love madeleines too! thank you for reminding me of these delicious yummies! The cookies look lovely and perfect! 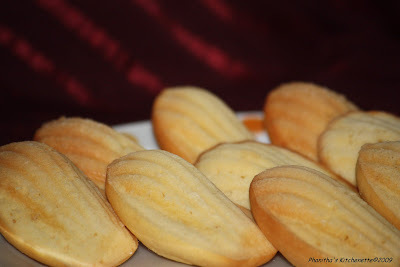 Madeleine look so professionally baked..
Congratulation for both your award and these beautiful madeleines! Thank you...Akal saappadu, Usha, Ramya Bala, Preety and Tangled noodle. They look gorgeous, lovely recipe...great picture. congrats on ur award Phanitha! u r g8!! Thank you Malar Gandhi and Jyothi..!! hi, first visit to ur blog....these cookies look gorgeous! I love baking too, always game for it! cookies look cute. i have only seen them in stores. never tried. Madeleines are my favorite cookie in the whole world. And these ones look so perfect!